Welcome to The Abbey at Grant Road Apartment Homes! You'll be pampered in your new apartment home that defines luxury with BRAND NEW sleek stainless steel appliances, side by side refrigerators, built-in microwaves, glass kitchen backsplash, brushed nickel lighting package and plumbing fixtures, custom-built wine rack, crown molding, wood laminate flooring, custom framed bath mirrors, garden tubs, full size washer/dryer included, six panel doors and much more! The apartments for rent at The Abbey at Grant Road are available in sizes 1,017 sq. ft. and 1,332 sq. 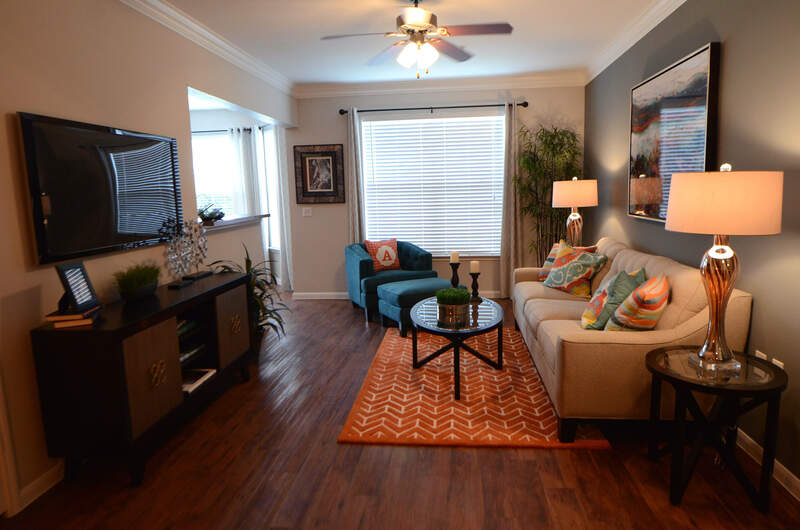 ft. We offer one bedroom, one bath and two bedroom, two bath options. Both offer ample living space have been upgraded with all necessities you need to simplify your life. For more information on luxury one and two bedroom apartments for rent in Houston’s Willowbrook neighborhood, give us a call. We’ll be happy to schedule a tour of your favorite floor plan.